Directed by Jose Padilha starring Joel Kinnaman as the lead in the Robocop remake now reports show that Gary Oldman has signed on to the anticipated film. 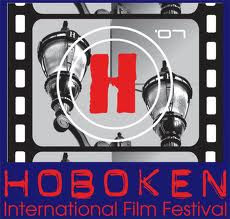 The 2012 Hoboken International Film Festival ("HIFF") is being held June 1 to June 7, 2012. Hosted by Gilbert Gottfried, HIFF will showcase numerous film and TV stars, and the world's most cutting edge films. The 2012 Opening Night Feature world wide premiere will be the film "SNAPSHOT" - "Sometimes a picture is worth a lot more than a thousand words." A thrilling drama, Directed by Eric Etebari the film stars: Zach McGowan ("Shameless'"); Robert Loggia (Academy Award and Emmy nominee; Scarface, Big, Independence Day); Joyce DeWitt ("Three's Company"); Michael Pare (Eddie and the Cruisers; Streets of Fire); and Martin Kove (The Karate Kid; Rambo); Rachael Robbins (An Affirmative Act, The Great Fight), David Chokachi (Baywatch), Keith Collins (A Fight For Survival, Stuck in the Middle), Nina Transfeld (The Life Zone), Michael Rivera (Fighting), Elissa Goldstein (An Affirmative Act), Angela Little (American Pie, My Bosses Daughter), Deidre Lorenz (Santorini Blue). Produced by Kenneth Del Vecchio, Written By Robert Borneman Executive Produced By Robert and Joyce Borneman. HIFF continues to grow – in 2011 HIFF had over 1,500 film submissions from all over the world, and accepted just over 90 films (the competition is fierce). Festival attendance has eclipsed 15,000 people in each of the past few years. A star-filled event, HIFF has had several Academy Award and Emmy winners and nominees, and numerous other fan-favorite celebrities at screenings, award ceremonies and special events. With a celebrity jury comprised of Academy Award and Emmy winners, and powerhouse partners that include My9 & FOX 5, The New York Post, Coca-Cola & vitaminwater, The Crowne Plaza Hotel, Q 104.3, DiamondJewelersOnline.com, Little Italy’s Umberto’s Clam House, Boylan Soda, Zyr Vodka, Pop Chip, Illy Coffe, and Hudson Cinemas, HIFF is a worldwide renowned film festival. Showcasing the hottest domestic and international movies and their filmmakers, HIFF will kick off on June 1, 2012 with The Filmmakers Reception and Opening Night Screenings. At this year’s Gala Awards Ceremony, noted as one of the best in the country for its Oscar-like class and fanfare, the 2012 Lifetime Achievement Award will be personally accepted by legendary actor Paul Sorvino (Goodfellas, Nixon, Romeo + Juliet, The Cooler). Past recipients include: Robert Loggia (Academy Award and Emmy nominee; Scarface, Big, Independence Day), Cloris Leachman (Academy Award Winner & 15-time Emmy Winner & Nominee), Charles Durning (2-time Academy Award/4-time Golden Globe/9-time Emmy winner and nominee; The Sting, Tootsie), Billy Dee Williams (The Empire Strikes Back, Return of the Jedi, Lady Sings the Blues), and Academy Award nominee and Golden Globe winner, Carroll Baker (How the West Was Won, Baby Doll, Kindergarten Cop). HIFF awards the winning filmmakers with cash prizes in several categories. There are also awards given in several other categories, and there are numerous top distribution companies in attendance of the festival and monitoring the Official Selections…And then there is the very special New York Post Feature Film Trailer Competition held on NYPost.com. Memorial Day is a holiday that has evolved dramatically over the years. Memorial Day observances began after the Civil War to honor the Union soldiers who gave their lives in the conflict. They were expanded after World War I to become a tribute to the dead of all the nation’s wars. HAPPY MEMORIAL DAY 2012. 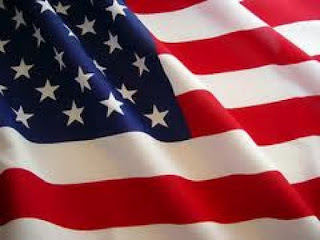 TO ALL OUR TROOPS FOR WHO THEY ARE AND WHAT THEY DO TO KEEP US SAFE THANK YOU FROM ALL OF US HERE AT THE DAILY FILM FORUM. Mattioli Productions, known for serving the LGBTQ community with groundbreaking work in movie production is run by the driven and passionate Jana (AJ) Mattioli (recently honored in the Advocate as “40 People Under 40 to Look Out For.”) We have been following Mattioli Productions and this is what they are up to. Not new to the festival circuit, Mattioli Productions was recently awarded for producing the “Best Comedy Short” at The Downbeach Film Festival in Atlantic City for the hysterical film, Bidentity Crisis. The film also brought home an award for Best Actor in a Short for Keith Collins and nominated for two additional awards; Best Actress in a comedy short (Elissa Goldstein) and Best Director (Jana AJ Mattioli) in a comedy short. The Coffee Klash is playing at the Out Connecticut Gay and Lesbian 25 Annual Film Festival on June 3rd. Stephanie’s mother Gayle (Blanche Baker, Emmy Award Winner, Sixteen Candles) is anything but laid-back. Though she loves her daughter, she often expresses it the only way she knows how-by completely micromanaging her life. Which is why this particular afternoon at the coffee shop might be tricky. After all, Stephanie has brought her mother here not only to tell her she’s a lesbian, but to introduce Gayle to her new girlfriend, Mary Ann. It quickly becomes apparent that Gayle’s problem isn’t really with her daughter being a lesbian…she just wishes she were a slightly more interesting one! The OUT-SIDER is playing at the Hoboken International Film Festival on June 2nd at 4pm. Suzie meets an old college friend Alexa at a coffee shop, which is the hot spot for the local gay community. Alexa comes from the Midwest where there is no “gay community,” at least none that she is aware of. Suzie has given up on men since college where she was roommates with Alexa, so she isn’t exactly sure of how to break the news that she now dates women to her longtime friend. Suzie and Alexa engage in an unintended educational dialogue as Suzie hopes to reveal her sexuality along with the help of her gay brother (Keith Collins, Awake in the Woods). Alexa keeps Suzie from getting to the point because she steers the conversation from naivety about the gay community. In the epicenter for the gay community, clearly Alexa is an outsider. Coffee and a Bite is playing at the Hoboken International Film Festival on June 2nd at 10pm. Jonathan, Lydia (Rachel Lorin Filsoof, The Next Big Thing), and Vlad aren't typical guests of The Cup. They have been living as "vampires." When Jonathan approaches a man Lydia is warming up to, Vlad is appalled not only that Jonathan would steal Lydia's "food," but that he would pursue another man! The gay waiter must endure fake foreign accents, corny jokes, and becomes the subject of a bet leading to mistaken identities of the most awkward kind. Jana (AJ) Mattioli’s directorial film debut of An Affirmative Act starring multiple Academy Award and Emmy winners and nominees, had a very successful national theatrical release in 2011 and is now making an encore performance at The Hoboken Film Festival on June 2nd at 10pm (showing in conjunction with Coffee and a Bite.) The films stars Elissa Goldstein, Eric Etebari, Charles Durning, Blanche Baker, Randy Jones, and Jackie Martling. The Feature, An Affirmative Act is playing at the Hoboken International Film Festival on June 2nd at 10pm. A lesbian couple (Elissa Goldstein and Candice Holdorf) are charged with fraud for marrying under the false pretenses of being a heterosexual couple-but they only did so in order to adopt a child and obtain equal rights. Defended by a charismatic heterosexual attorney (Eric Etebari) and fought by a governor (Justin Deas) seeking to protect his anti-gay marriage bill, the couple is quickly caught up in a massive media storm and courtroom battle. The Coffee Shop was a collaborative writing project executed by the talented Zach Rothman-Hicks, Talia Gonzalaz, Bisanne Masoud, Kelly Feustel, Sean Connelly, Robert Borneman, Blanche Baker and Elissa Goldstein. Executive Producers include Harrington Talents, Robert and Joyce Borneman, Greg Jackson, Steve Wolf and Dreamcatcher Entertainment. Daphne Rubin-Vega,Christopher Plummer, Angela Lansbury, Joyce And David Dinkins, Charlotte Rae,Tyne Daly, Blair Underwood and many others, attended the Actors Fund Gala honoring Harry Belafonte, Jerry Stiller, Anne Meara & David Steiner at the Mariott Marquis Hotel in New York City. Empire State, that stars Liam Hemsworth and Dwayne The Rock Johnson, has filled out its cast with Twilight Saga‘s Nikki Reed, Michael Angarano, Emma Roberts, Entourage’s Jerry Ferrara, Paul Ben-Victor and Chris Diamantopoulos. 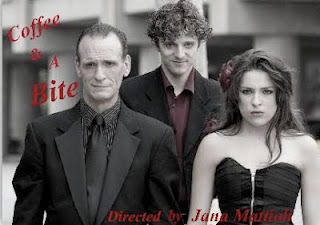 Starting filming soon in New York City and Dito Montiel Directing the brilliant scrip by Adam Mazer. Disco icon Donna Summer has recently passed . She succumbed to her battle with breast cancer. Summer was 63.